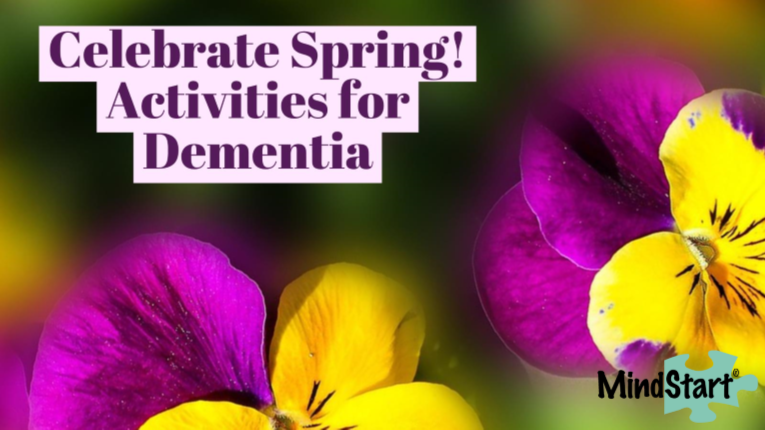 Activities for Dementia: Celebrating Spring! Spring is a glorious time of year! 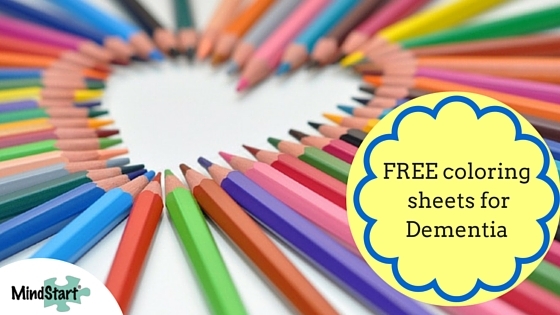 It offers many opportunities for activities that people with dementia can enjoy. Give one of these a try! Springtime is when most animals lay their eggs or have their babies. You might see a baby bunny, baby goslings, or a robin's eggs. The birds are also often chirping away. Get a bird feeder so you can watch the birds, visit a local nature center or humane society with small animals to view, or check out a picture book from the library with baby animals to enjoy and talk about. Flowers will start to shoot up and bud in the spring. 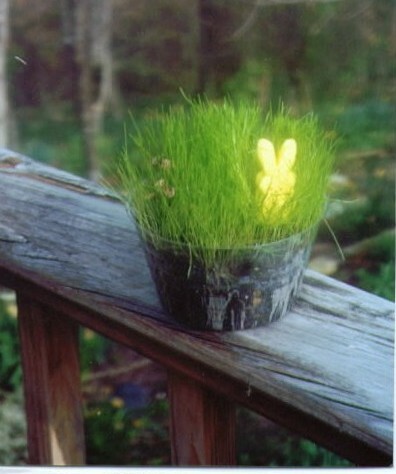 Plant some pansies or visit an arboretum or garden center and look at and smell daffodils, lilacs, and tulips. For activity ideas that use plants, such as making dried lavender sachets or doing small grass plantings, see the book A Calendar Year of Horticulture Therapy. 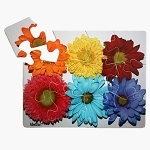 The sensory experience of handling flowers, soil, and grass can be enjoyed by people at all stages of dementia. Planting potted herbs in another great activity with sensory benefits. Major league baseball has started up. 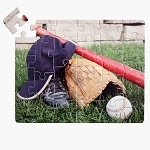 If the person with dementia was a sports enthusiast, find a game on tv to watch or head to a local ballpark for a little league game. You can also spend time oiling a baseball glove or looking at and talking about old baseball caps. Make a spring-inspired treat! These Cinnamon Biscuit Blossoms from Pillsbury have only 4 ingredients and 3 steps. The person with dementia can help with all steps or just stir the cinnamon and sugar and sprinkle it on, depending on their ability level. All can enjoy the wonderful aroma and taste! 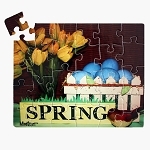 Try our 24 piece Spring puzzle, 12 piece Flowers puzzle, or 24 piece Baseball puzzle. Also, our Flowers coloring book, which are simplified yet made for an adult.